Please complete the form and we will call you to schedule a time to meet. 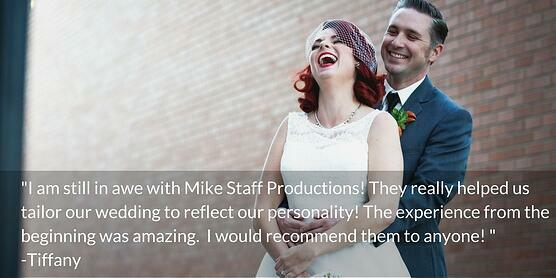 We are excited to learn more about your wedding! 13561 S West Bay Shore Dr.
© Mike Staff Productions, Inc. 1994-2018. All Right Reserved.